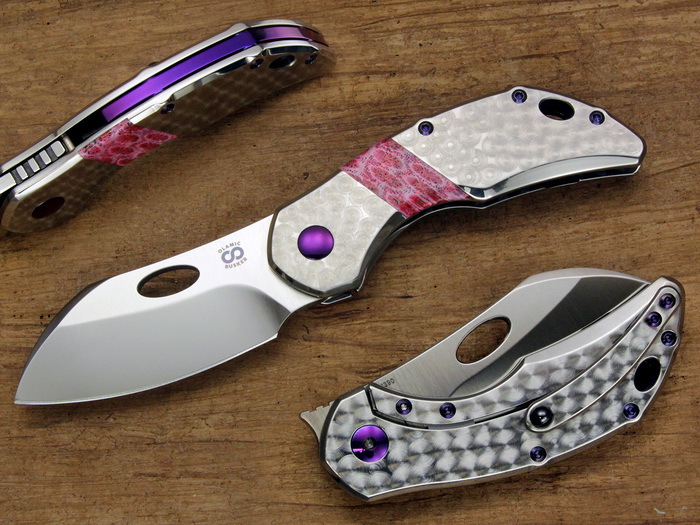 **** Chosen by Winner: Alexander C.
Olamic's brand new Busker model. A front flipper by design, the knife can be opened at least 10 different ways. We went with Bohler’s proven M390 for the blade and all 6AL-4V titanium construction on the handle. You have the option of either a floating titanium backbar or titanium standoffs. The blade runs on a caged bearing system with a ceramic detent ball. Olamic Tactical brand knives are made by hand one at a time at their shop in Visalia, CA. They produce only limited pieces under the supervision of ABS Mastersmith Michael Vagnino.